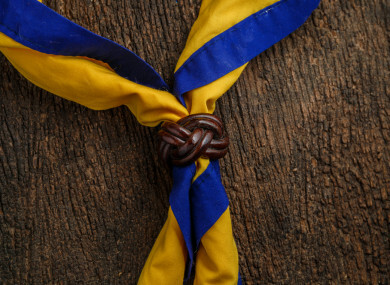 SCOUTING IRELAND HAS questioned what evidence Tusla has for suggesting that the viability of overnight trips should be considered due to child protection concerns. Children’s Minister Katherine Zappone yesterday published a letter from Tusla to Scouting Ireland which called for an “urgent review” into the manner in which the organisation manages child protection concerns and disclosures. The letter also called for Scouting Ireland to “consider the viability” of continuing with overnight trips. In response, Scouting Ireland has said that it is “fully committed to continuing to follow best practice in safeguarding” and has “constantly engaged with Tusla since that agency was established”. During that engagement, Scouting Ireland says that the question of overnight trips has never been raised. “It would be helpful to understand what evidence Tusla has for suggesting that ‘Scouting Ireland should consider the viability of continuing with overnight trips’,” Scouting Ireland said in a statement this afternoon. Overnight trips and the experience of camping outside at night is an experience every scout should have the opportunity to enjoy and we have a strong policy framework in place to support this activity in Scouting Ireland. Again this matter was never raised by Tusla in any meetings with our organisation. Scouting Ireland has also questioned several other statements made by Tusla in its letter. The organisation said that Tusla made a “serious allegation” in alleging that “the actions of key personnel holding a role in safeguarding may have been compromised”. “This is a most serious allegation, which we would have responded to immediately, had we known or understood Tusla’s concerns. It has not been raised in any of our meetings with Tusla,” Scouting Ireland says. Furthermore, Scouting Ireland says that it has “completed the most comprehensive review of safeguarding” and questions why Tusla has suggested another review is needed. Scouting Ireland asked “what evidence does Tusla have” that this is necessary. The organisation has also said that it has opened a helpline has been set up for children and parents to contact in the wake of yesterday’s letter. The helpline is 086 6040337 and opens from 10am to 4pm. Email “Scouting Ireland asks Tusla for evidence about why it questioned overnight camping trips”. Feedback on “Scouting Ireland asks Tusla for evidence about why it questioned overnight camping trips”.